Apple realizes that using Siri in public place, mainly in silent places/rooms like libraries or at working place, it’s awkward and sometimes even uncomfortable. So that Apple iPhone manufacturers functioning in a way to understand when you whisper to Siri voice assistant, and the response in a whisper voice back. This isn’t just a recognizing a whisper voice than the lowering the volume of Siri’s reply. This would mean the Siri voice assistant responding with an actual whisper. 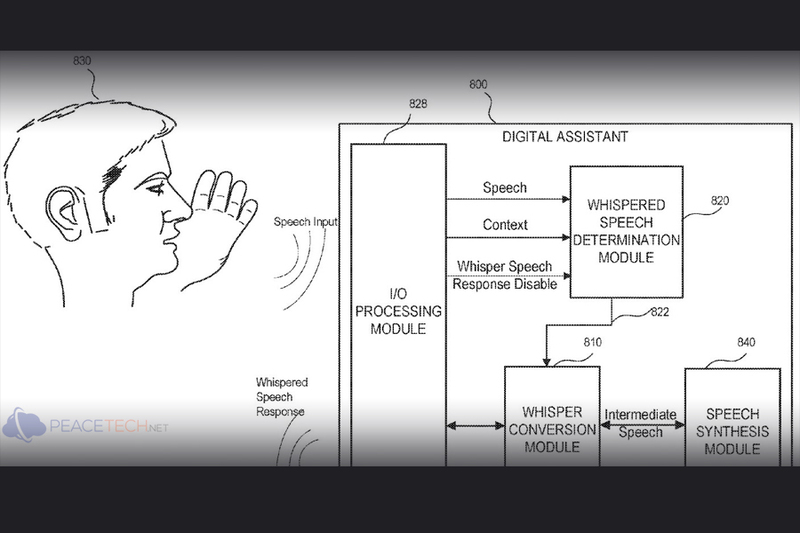 A recently exposed Apple’s patent refers to a digital assistant that is capable of finding a whispered voice input and providing a whispered speech response. Apple recommends how such an innovative feature could be useful when you are in a silent place like a library or in a working place surrounded by a colleague. A new use could be to relate to smart home uses without worrying anyone, like switching the lights off at late night when everyone is asleep. 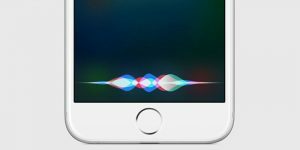 An addition of Siri whispering silently back to you has improved privacy, as when she reads out received messages or emails, and the remainder in your calendar, people nearby won’t be able to hear what Siri said. Google Assistant had two preserved replies, both sent with a whisper voice. She said: “Yes I can” and “too right I can”. Now, Siri only said in her systematic way: “Sorry, I can’t do that”. 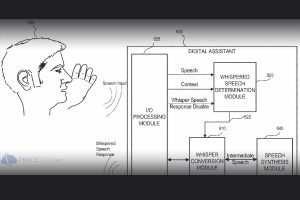 The 57th-page patent was only published in this week, on 14th December, so it could be sometime earlier the Siri in our pockets and on our Macs gets updated to whisper. Also, the usual patent caveats apply – technology companies like Apple regularly patent thoughts which certainly not see the light of day, because this patent exists it doesn’t mean the whispering update will surely ship.